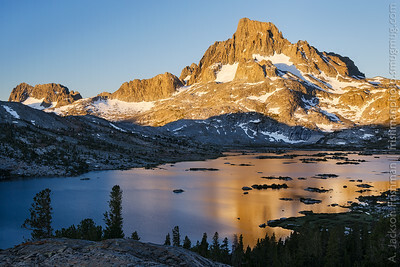 Sunrise on Banner Peak and Thousand Island Lake, Ansel Adams Wilderness, June 2014. 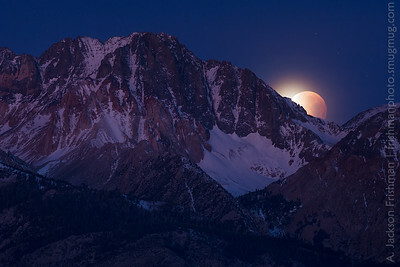 January 31st, 2018: Moonset in eclipse behind 14,065' Split Mountain in the Sierra Nevada. 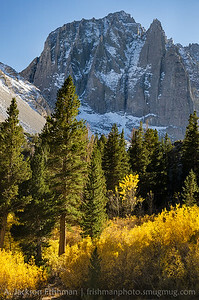 Fall aspens beneath Temple Crag, North Fork Big Pine Creek, John Muir Wilderness, California, October 2015. 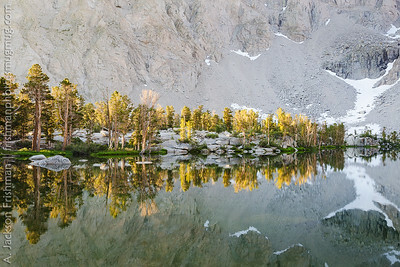 Morning light and still water, Matlock Lake, John Muir Wilderness, August 2017. 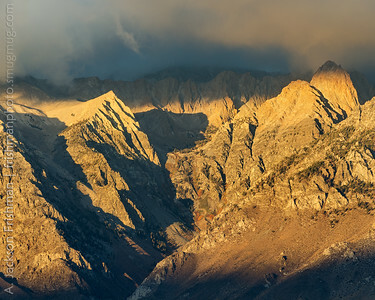 Sunrise under storm clouds on Sawmill Creek, John Muir Wilderness, October 2016. 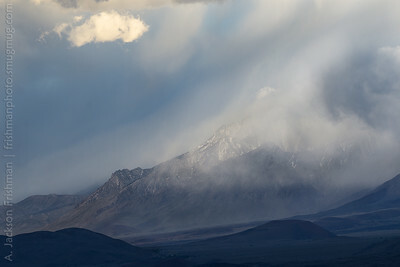 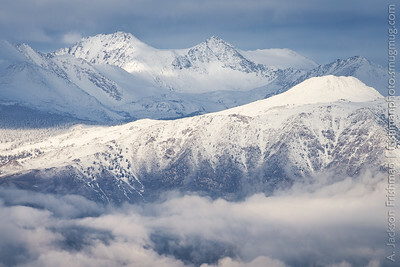 Late spring snowstorm flows over the High Sierra into Owens Valley, April 2016. 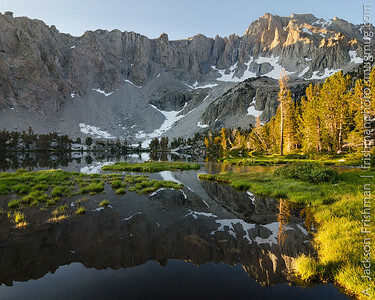 Morning sun on Matlock Lake, John Muir Wilderness, August 2017. 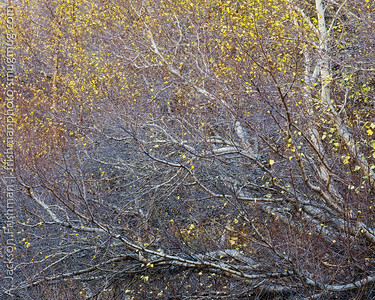 Autumn branches, John Muir Wilderness, Sierra Nevada, California, October 2015. 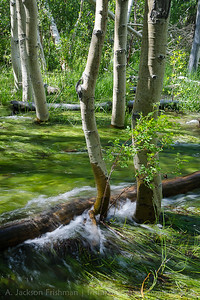 Convict Creek flowing through aspen groves at high water, June 2016. 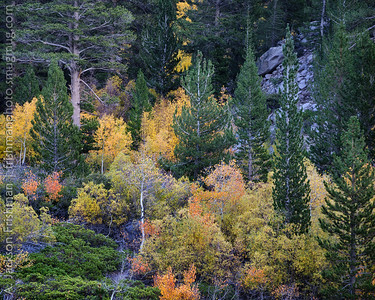 Autumn forest, John Muir Wilderness, California, October 2015. 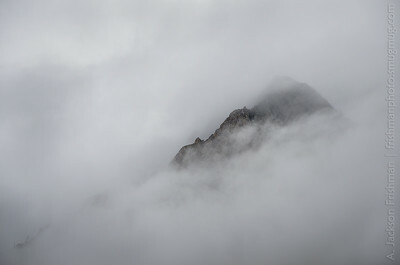 Fresh snow and storm clouds around Cloudripper and Vagabond Peak, April 2016. 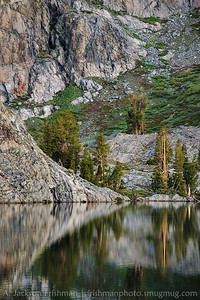 Calm morning at Minaret Lake, Ansel Adams Wilderness, California, June 2014. 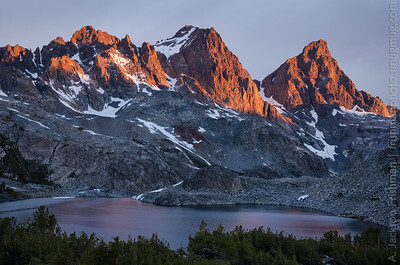 Sunrise glow on Ritter and Banner Peaks, Ansel Adams Wilderness, June 2014. 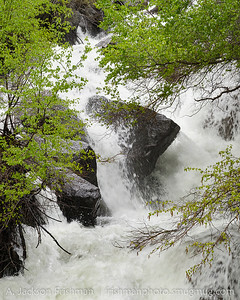 Autumn storm in McGee Creek Canyon, Sierra Nevada, California, September 2014. 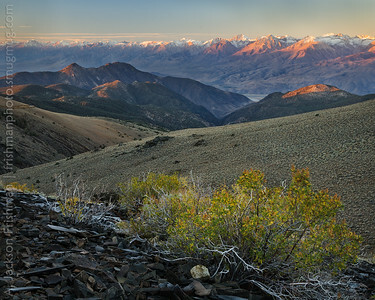 Dawn on the eastern Sierra front, viewed from the White Mountains, October 2015. 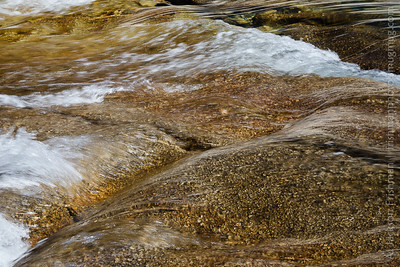 The Tuolumne River flowing over granite, Yosemite National Park, July 2016. 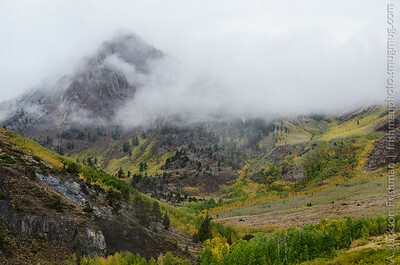 Storm clouds shroud the metamorphic walls of McGee Creek Canyon, September 2014. 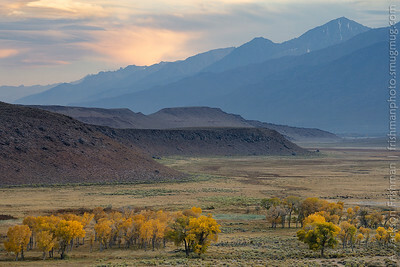 High desert cottonwoods under the Sierra, Mono County, California, October 2017. 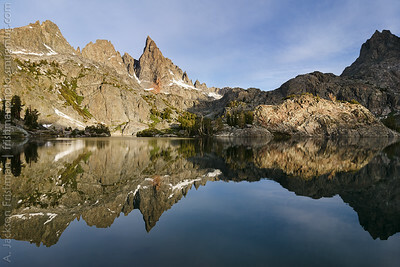 The Minarets reflecting in their namesake lake, Ansel Adams Wilderness, California, June 2014. 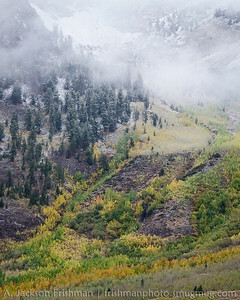 Snow and fall aspens, McGee Creek Canyon, John Muir Wilderness, California, September 2014. 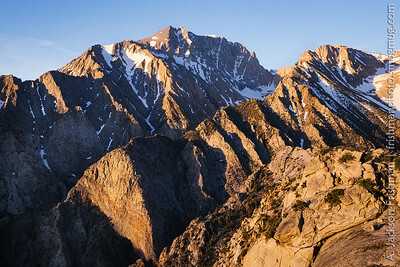 Morning light on Mt. 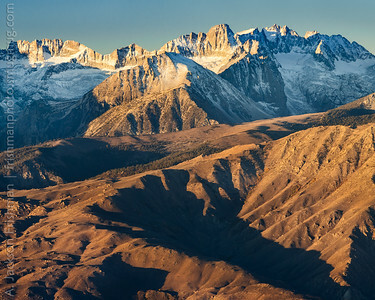 Williamson, California's second-highest peak, and the massive walls of Shepherd and Williamson Canyons, June 2017. 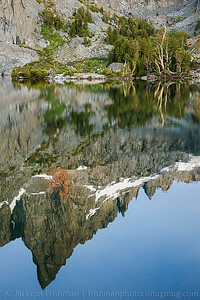 Clyde Minaret reflecting in Minaret Lake, Ansel Adams Wilderness, California, June 2014. 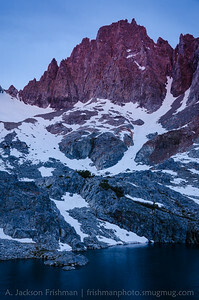 Dawn alpenglow on Ken Minaret (named after my grandfather), Ansel Adams Wilderness, California, June 2014. 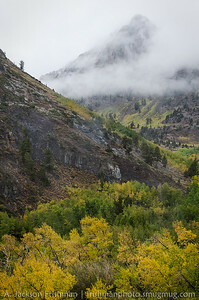 Fall aspens and mist-shrouded slopes of Baldwin Peak and McGee Creek Canyon, John Muir Wilderness, California, September 2014. 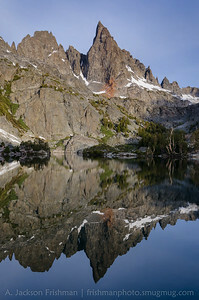 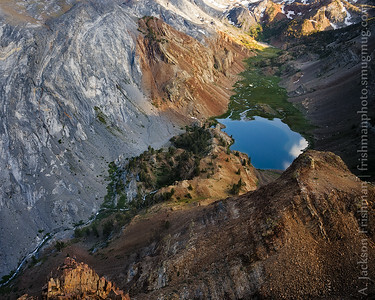 Ken and Clyde Minarets reflect in Minaret Lake at dawn, June 2014. 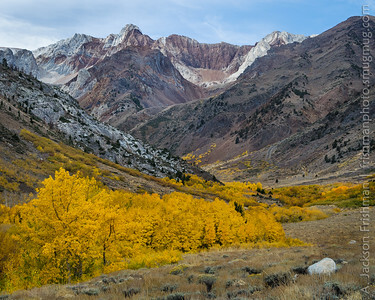 Autumn aspens in McGee Creek canyon, John Muir Wilderness, October 2016. 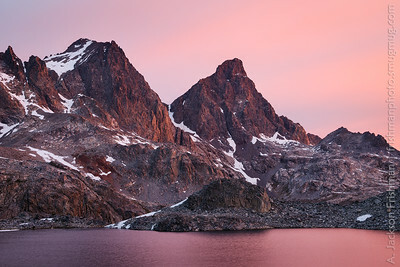 First light on Ritter and Banner peaks above Cecile Lake, Ansel Adams Wilderness, June 2014. 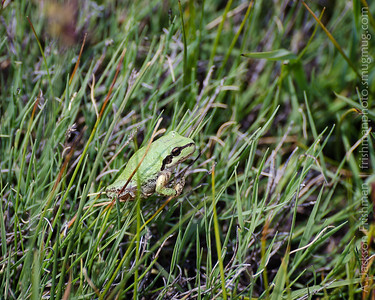 Sierran treefrog (Pseudacris sierra) in meadow at 10,000 feet in the Golden Trout Wilderness, August 2017. 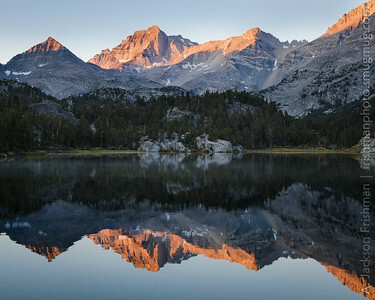 Calm before dawn, Matlock Lake, John Muir Wilderness, August 2017. 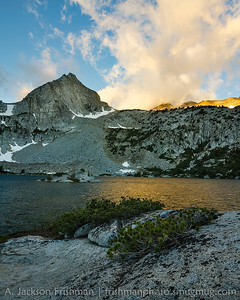 Stormy autumn sunrise on Goodale Creek, John Muir Wilderness, October 2016. 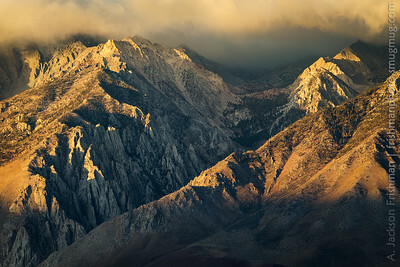 North Palisade and Mount Sill tower above a foggy Owens Valley, January 2016. 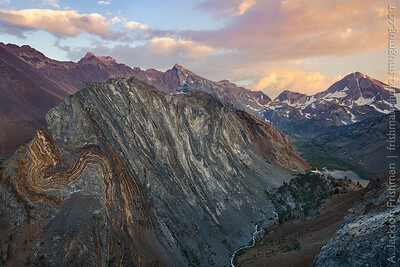 Sunrise on Bear Creek Spire, Little Lakes Valley, John Muir Wilderness, September 2016. 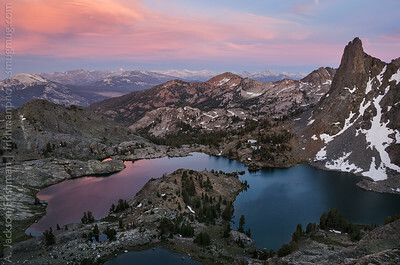 Sunrise at Treasure Lake, John Muir Wilderness, July 2016. 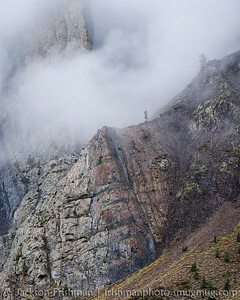 Mist-shrouded peak in McGee Creek Canyon, John Muir Wilderness, California, September 2014. 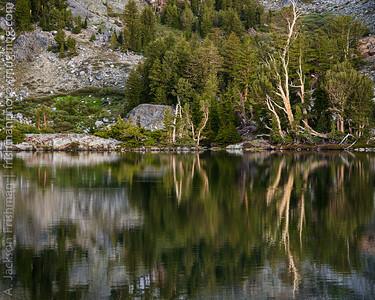 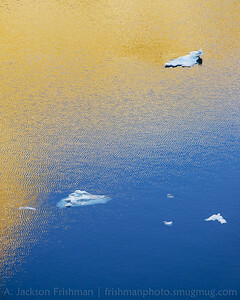 Reflected sunlight and ice in Iceberg Lake, Ansel Adams Wilderness, California, June 2014. 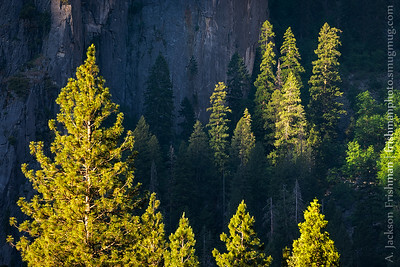 Sunrise on the Palisades, Sierra Nevada, California, October 2015. 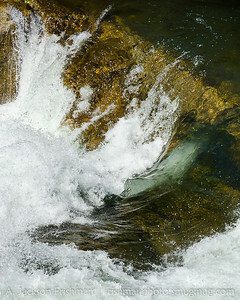 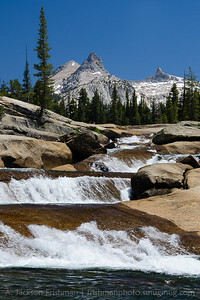 Cascades in the Tuolumne River under Yosemite's high peaks, July 2016. 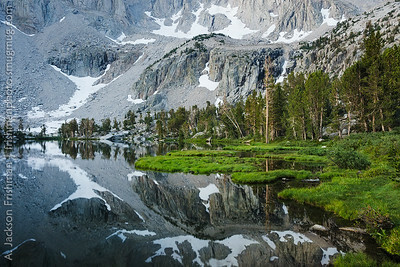 Reflections in Minaret Lake, Ansel Adams Wilderness, California, June 2014. 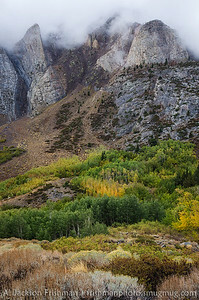 Misty mountain over fall aspens, McGee Creek Canyon, California, September 2014. 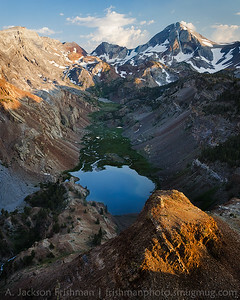 Sunset above Minaret Lake, Ansel Adams Wilderness, California, June 2014.